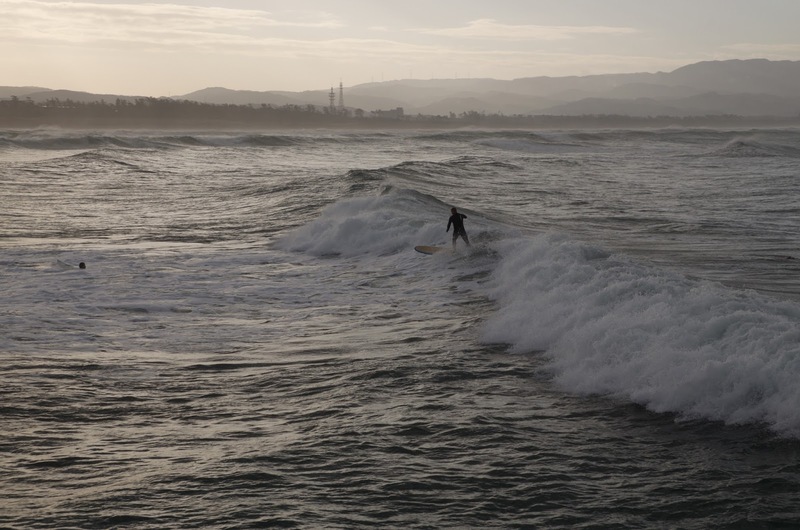 I took the train from Takamatsu to Kanazawa, on the Sea of Japan. 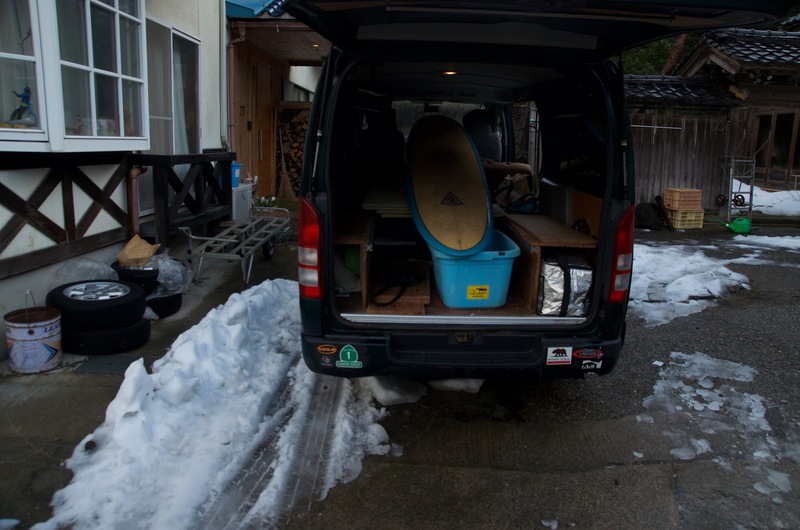 There I met my friend Genki Terauchi, an oceanographer who also builds wooden surfboards. 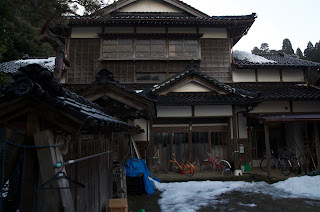 I stayed Friday night at his place, a modern house sitting next to his parent's traditional home. 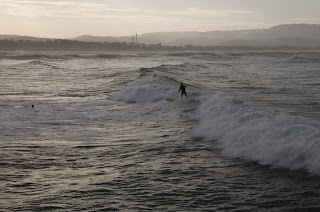 Genki agreed to drive me to Himi Saturday morning, but he asked if we could stop for an hour so he could surf! Actually this region has a warm current so water temperatures are about 50 degrees. 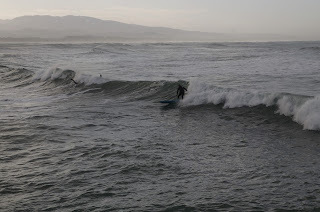 But to see people surfing with snow on the beach was something else. On our way into Himi we stopped at the boat shop of an 88-year old retired boatbuilder. He makes models now, spending his days hanging out in his former shop. 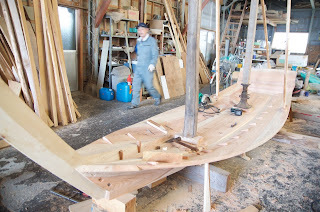 Then we went to see Bansho san, Himi's younger boatbuilder (in his 70s?). He's got a boat underway right now for a museum. 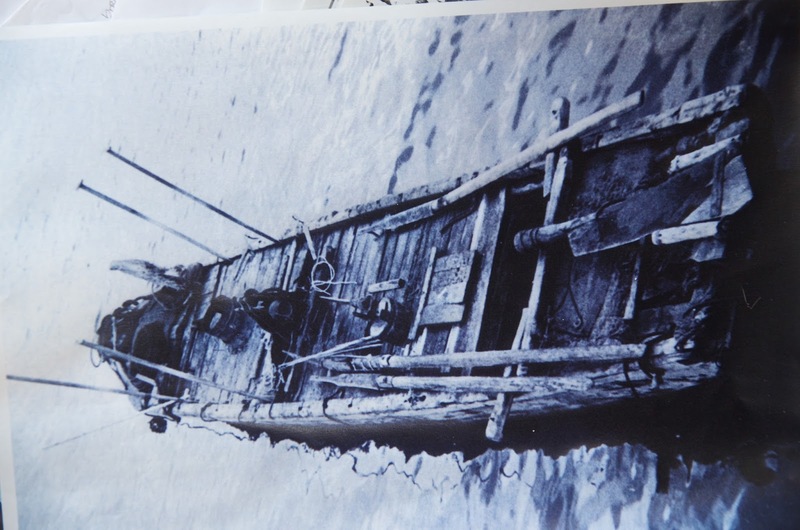 He built fiberglass boats during his career, after briefly apprenticing in wood. 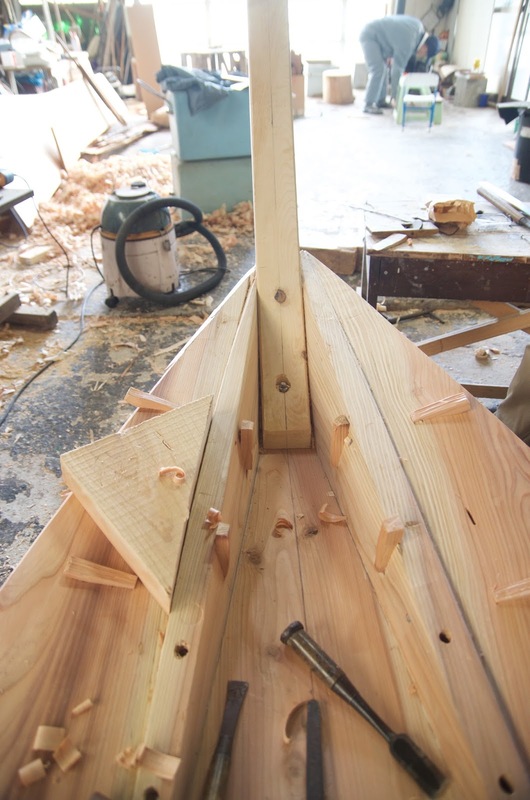 He's been pretty busy the last few years building boats for museums and non-profits. 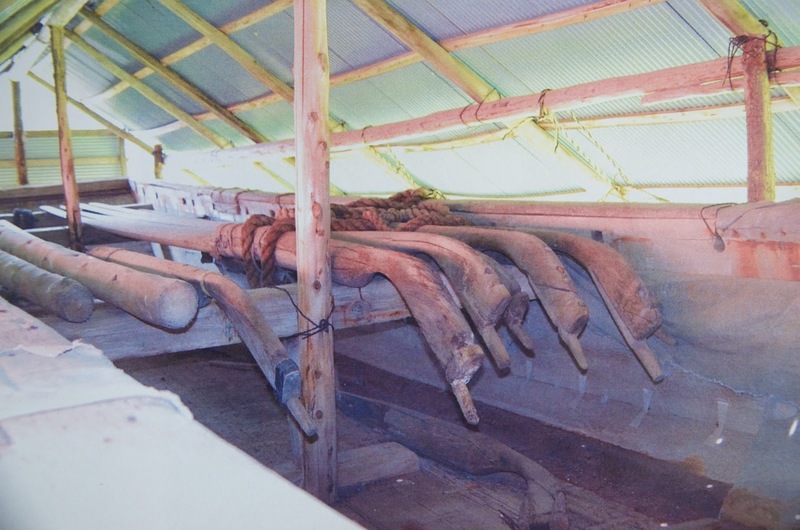 The boats in this region feature a unique bow construction, a kind of box keel just at the bow. It actually makes the bending of the garboard really easy, as its mostly flat. I've never tried this construction but I would like to. 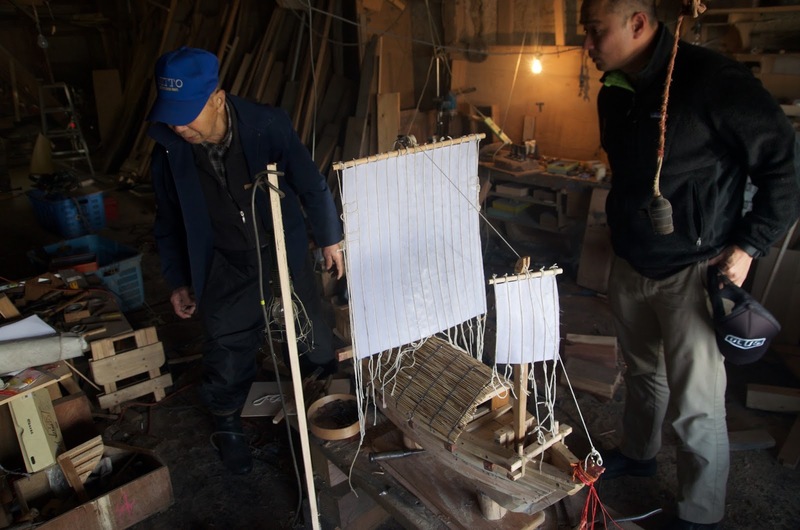 Bansho san's next project is a half-size replica of a dobune, a famous type of semi-dugout that were used to tend huge fishing nets. They were basically barges, manned by many fishermen. The side planks are practically half logs, and then the bow is an entirely different plank construction. 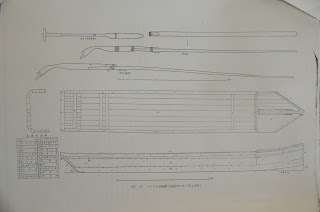 The main fastening are dovetails keys. 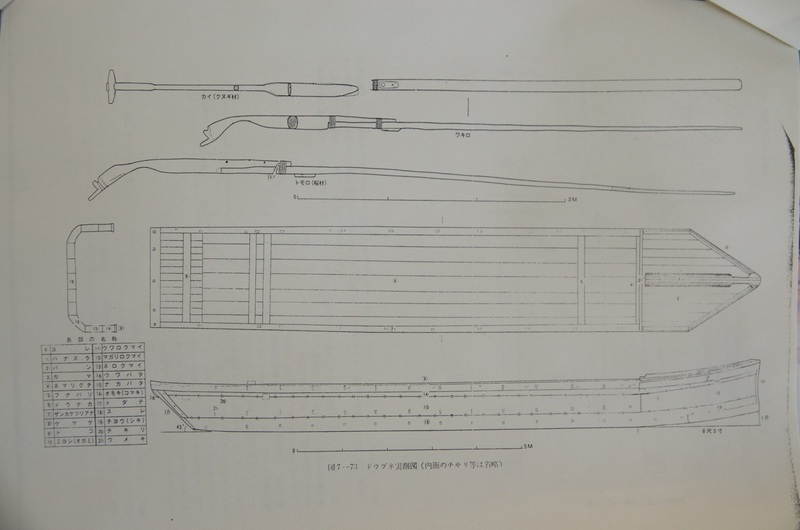 Dobune used perhaps the strangest looking sculling oars in Japan. These are massive and I suspect were wielded by more than one person. 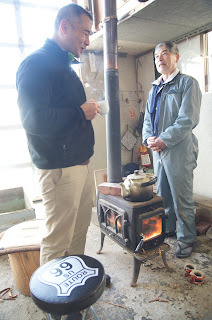 Me, Genki, and Bansho san, hanging out at the wood stove in the boatshop drinking coffee. Doesn't get any better than this, does it? 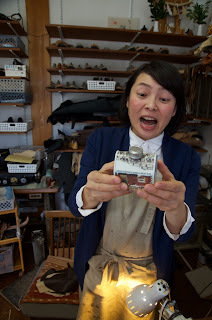 Later I met friends at the shoe-making shop of our friend Ai chan. She was pretty excited about a gift of real Vermont maple syrup. She works in leather, of course, as well as fish leather. 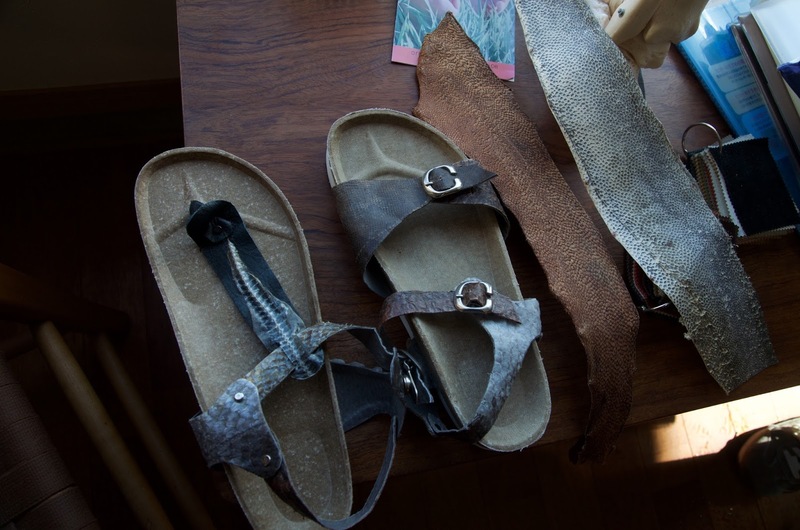 These are fish leather sandals but she makes shoes out of it too. 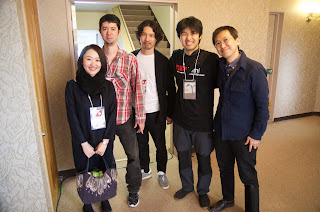 I was in Himi to speak at a TEDx talk. It was incredibly well organized and attended, and also one of the most nerve-wracking things I've done recently. I spoke in English (thank god!) while getting a simultaneous translation the audience could access via headphones. Some of my fellow speakers and one of the volunteers. 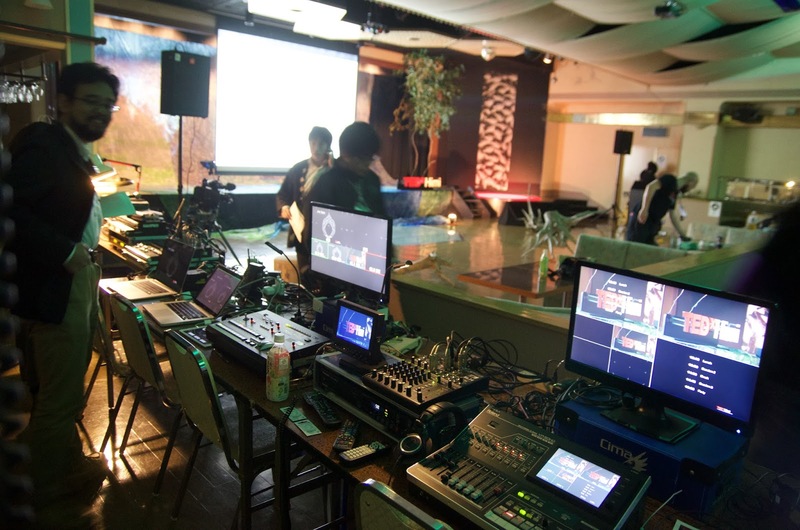 The speakers were three Americans and five Japanese. 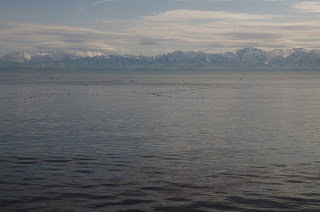 When it was over I was so relieved I went out for a run and then took a long soak in the hotel's onsen overlooking Toyama Bay. View of the Japan Alps (Toyama and Ishikawa Prefectures) from the hotel.... Not a bad view to contemplate from a hot spring bath. 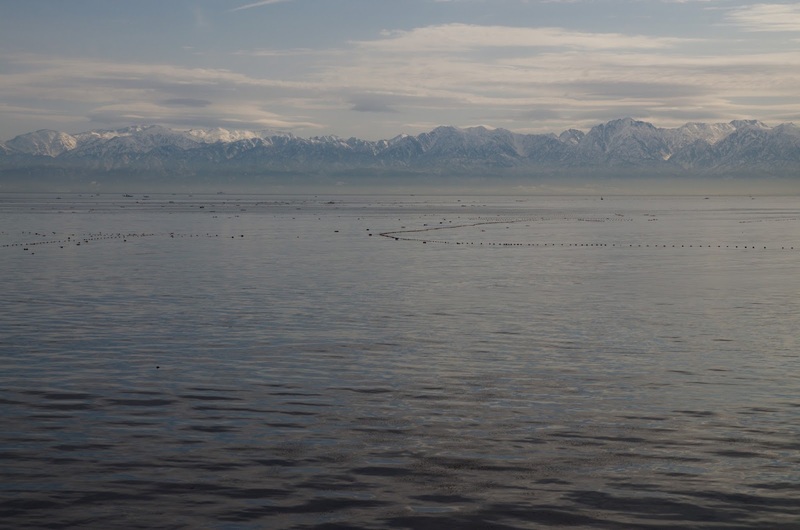 That's about 30 miles across Toyama Bay. My younger brother took me to see Kanazawa castle and the garden next to it when I once visited him in Japan. The timber works of the caste is incredibly impressive, and the garden I believe is one of the finest in Japan. Thanks for sharing this boat building with us. I think somewhere last March I posted on this blog about the castle. You are absolutely right, the reconstruction is astounding. The garden is one of the most famous in Japan. My wife would insist anyone going to Kanazawa visit the contemporary art museum there. 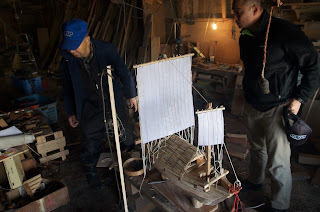 Also, Kanazawa City started a fascinating facility to train people in the traditional building crafts. Its a great city, one that really cherishes its traditions.